Yesterday's morning blooms. Observed for last few days for its fragrance. Found very fragrant specially early in the morning and at night. Fragrance can be felt at couple of feets away from plant. Flower shape pretty too. Blooming second time since May. Very nice, what is the common name? and Nursery mans name? Sir nursery man was selling this bush with the name of imported chanani. 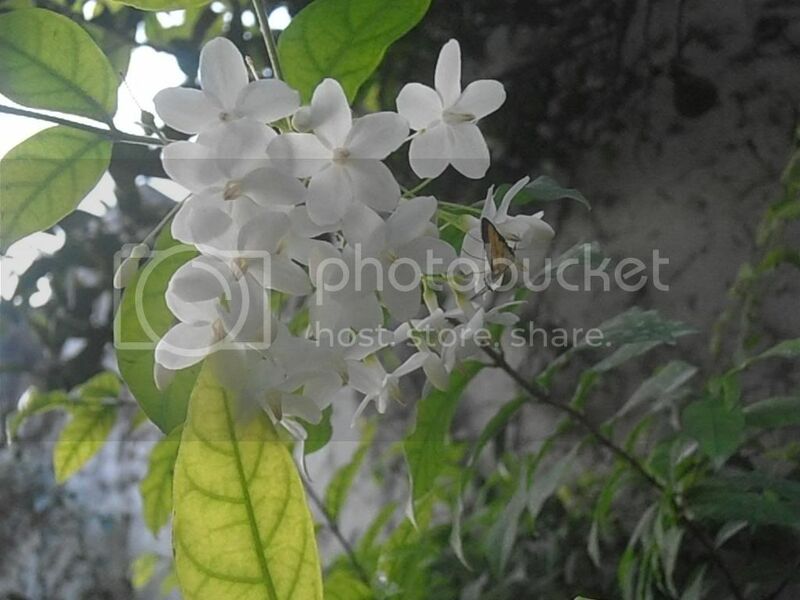 common names are wild water plum, water jasmine or wrightia religiosia. 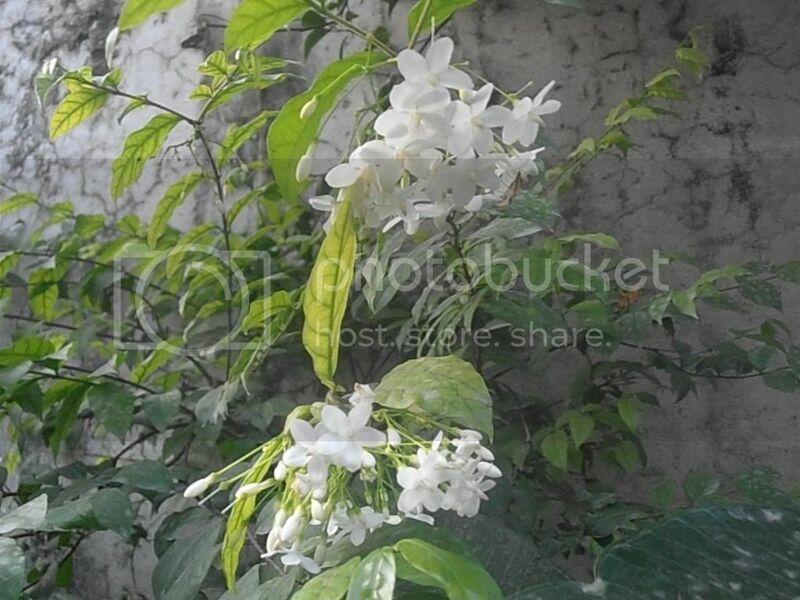 Very common in Thailand, usually grown in their temples for its fragrance. Nice blooms. Is the fragrance similar to Marwa? If so then is it worth paying a premium price for it as Marwa can be bought very cheaply. Long Lasting and more beautiful flowers than marwa. No doubt marwa has its own qualities to have it. There are some expensive cutivar of marwa too locally available as thai marwa? "Both abundance and lack exist simultaneously in our lives, as parallel realities. It is always our conscious choice which secret garden we will tend... when we choose not to focus on what is missing from our lives but are grateful for the abundance that’s present -- love, health, family, friends, work, the joys of nature and personal pursuits that bring us pleasure -- the wasteland of illusion falls away and we experience Heaven on earth." Trash of one can be the treasure of other.